* - Two motorcycles in a single lane. In California Only, lane splitting is legal. Motorcycles may drive between cars, but not on shoulders. 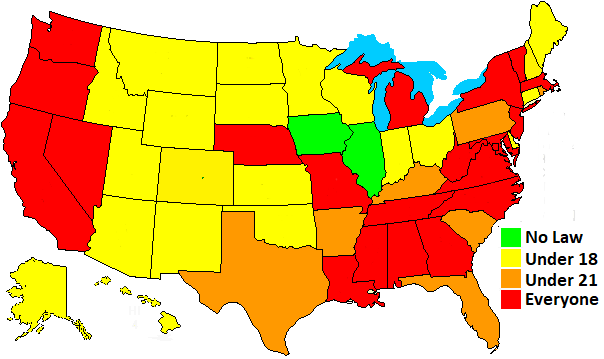 In California, Delaware, and South Carolina you may drive a 3-wheeler with a car license. Everywhere else requires a motorcycle license. Most states have a law that handlebars may not be above the rider's shoulders. Eight states have a law that handlebars cannot be more than 15" above the seat, roughly your sternum. Most states have a law that passengers must have an attached seat and footrests.